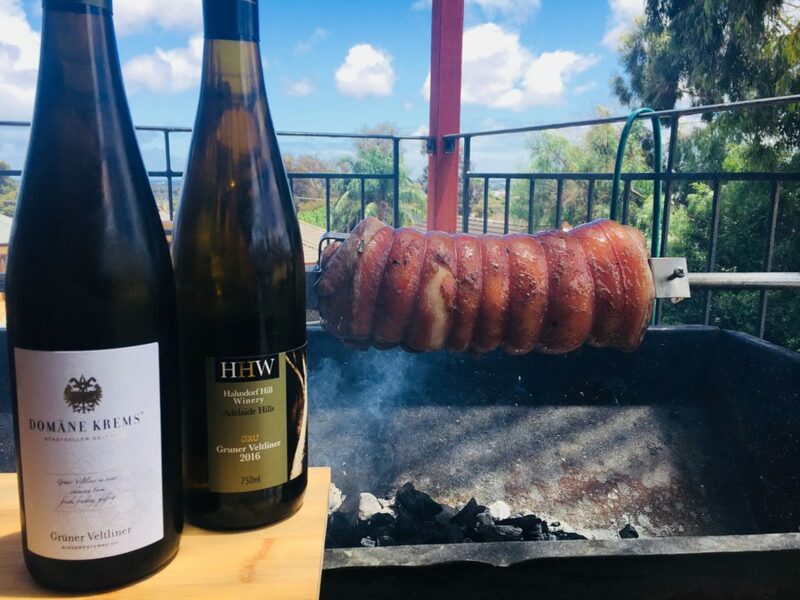 There is an old expression in food and wine pairing: “What grows together goes together”, and in addition to a passion for Gruner Veltliner, both Australians and Austrians share a love of pork. Australian pork consumption has been growing steadily for the last two decades, recently overtaking beef to be our second most consumed meat behind chicken at approximately 28kgs per person annually. But just as Austria leads the world in Gruner Veltliner production they also top the charts as the world’s biggest fans of pork, consuming a whopping 71kgs per person! 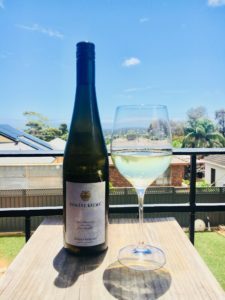 So, in the spirit of Australian-Austrian relations, I have decided to focus this article on how pork and Gruner make such great bedfellows, which leads me to our own 2016 ‘Gru’ and to an excellent wine from the Kremstal. Everything about Kremstal is old, even by European standards. The undulating highlands and eastward facing slopes referred to as the Bohemian Massif are amongst the oldest geological formations on earth. Closer to the region’s capital, Krems, on the south and south-eastern slopes are rich deposits of loess, exposed after the last ice-age 300 000 years ago, contributing to perfect spicy and structured Gruner Veltliner. The civic hospital of Krems was founded in 1210 by Duke Leopold IV between already thriving vineyards and as successive rulers came and went Krems underwent many changes, but it has always focused on wine production for its survival. Now boasting 306 wineries and 2368 hectares (5851 acres) under vine, the region has become a must-visit destination for all serious wine and history buffs. At over 550 years old Weingut Stadt Krems is amongst the oldest wineries in Europe and in addition to making exquisite wines they are a member of the “Traditionsweingüter Österreich” – an association committed to protecting the region’s heritage. All of Stadt Krems 30 hectares are within the Krems’ city limits and their wines are pressed in a cellar under the moat of the ancient Old Town! Freshness, spice, finesse and complexity is the mantra which Weingut Stadt Krems lives by and their 2016 Domane Krems Gruner Veltliner snuggles in nicely with its more expensive brothers and sisters. Made in a slightly more fruit forward style than most wines from this region, it sizzles with grapefruit, pineapple and pear. Beautifully balanced acidity and a long but clean and peppery finish make this wine from one of the Austria’s oldest producers a delicious accompaniment to the crispy, crackly spit-roasted pork. Australia, of course, now grows its own Gruner Veltliner, especially in the Adelaide Hills wine region of South Australia, where this pork-loving variety has put down deep roots. 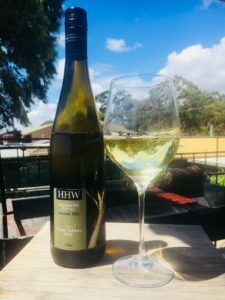 There are now approximately 30 Gruner labels in the Adelaide Hills, including Hahndorf Hill which pioneered this variety in South Australia. I remember quite early in the 2016 vintage Larry and I quietly whispering to each other “this will be a good one” as we tasted the unbottled ‘Gru’ – and we haven’t been alone in this opinion. I have written previously that I feel our 2016 ‘Gru’ shows the most varietal typicity of all our Gruners to date, and during my trip to Austria I tasted dozens of wines that only reinforced the sense of kinship in our wines that we have been striving for. Leading with pear, apple and zippy grapefruit, this wine waltzes across the palate. Crispy acid tickles whilst Gruner Veltliner’ signature chalky texture caresses. It is with a strange melancholic pride that I sip away the last of the 2016 ‘Gru’. While it didn’t take a crystal ball to see these wines would be a treat with pork, I won’t have it said that I wasn’t thorough in my research! 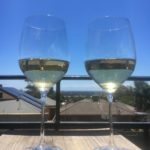 This entry was posted in Adelaide Hills wine, Adelaide Hills wine region, Blaufrankisch, cool climate wine, Diurnal variation temperature, Gruner Veltliner, Gruner Veltliner Australia, Hahndorf, roses, Uncategorized, wine, Zweigelt and tagged Adeaide Hills cellar door, Adelaide Hills, Adelaide Hills Cellardoor, Adelaide Hills wine, Adelaide Hills winery, Blaufrankisch, cool climate wines, Diurnal variation temperature grapes, Gru, Gruner Veltliner, Hahndorf Hill Gruner Veltliner, harvest, St Laurent, Zweigelt. Bookmark the permalink.